Today I am going to tell you more about my team because I just can't say enough about what it means to be the leader of the my team, the Rose Blossoms. In the end, I don't even know that I will be able to use words to say what I want to say. I showed you a photo the other day of my team after the Operation Smile crop we held. It was absolutely so much fun for such an amazing cause!! All totalled, we raised $2040 for Operation Smile! Let me tell you some of the things my team members did to raise that money. One of my team members, Barb, not only set up the meeting rooms for us along with a discounted room block, but she worked with the hotel to get the meeting room free. We were able to give this money instead to Operation Smile! Several Rose Blossoms donated cards, and we sold them for $2.00 each. We raised $396 with card sales!! We sold tickets to win an Artistry collection, and that was fun!! $224 went to Operation Smile from selling tickets and one lucky winner went home with a brand new Artistry collection! About a month before the event, I sent out a message that if anyone wanted to donate an item for a silent auction, they could. 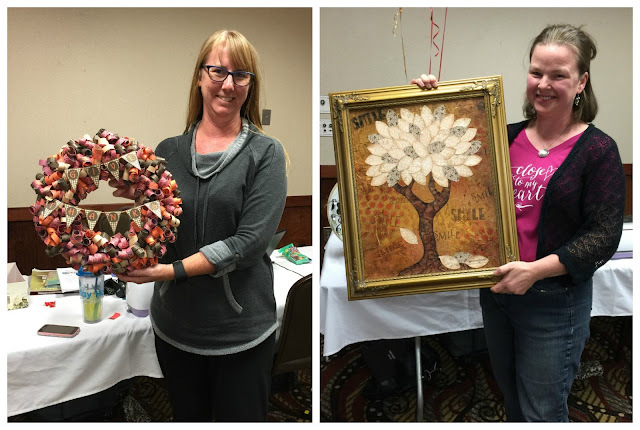 Oh my did we have wonderful artwork for auction, and the pieces raised $422!! By the time we did the live auction, I have to tell you that I was so tired! It had been a super fun weekend with very little sleep. I had the girls do their own auctions, and it was like they were born to be auctioneers!! I was in tears by this time because my heart was filled with so much gratitude for everyone in the room that opened their wallets to help us raise money. When Kristina held up her framed canvas, the bidding went high very quickly! The bid ended at $358!! It was one of my team members, Kim, that won the canvas, and I rushed over to hug her and thank her for her donation. She asked me to stay up in front with her. Kim said some very wonderful things to me and then told me that the team had secretly collected that $358 during the day in order to bid on that item and give it to me! This framed canvas now hangs in my home. We live in a split level home, and it is the first thing you see when you walk up the stairs. I stop by this frame each day and give thanks to God for the beautiful people he has so generously placed in my life to share this journey. So this is my team. They are women with hearts of kindness and love. When someone new comes to the team, they are welcomed with open arms!! This year one of my team members, Lynn, presented on stage at Convention. Everyone was so excited for her, and even if they weren't able to go to Convention, they were cheering her on!! The Rose Blossoms support each other - in their lives and in Close To My Heart. If you are thinking of starting a journey of your own with Close To My Heart, I want to invite you to be a new bud on this big Rose Blossom tree. We'd love to have you!! Beautiful post Brenda. I love reliving this amazing event in my memory. What a joy filled weekend it was. Thank you for everything YOU did to make it possible. And that was more than we all can imagine. There's no better team to be a part of in CTMH. That's for sure. This post says it all.....how wonderful to have the team we have with such an awesome leader! Lot's of CTMH Sisterly love and compassion all rolled up into one Fantastic Team! 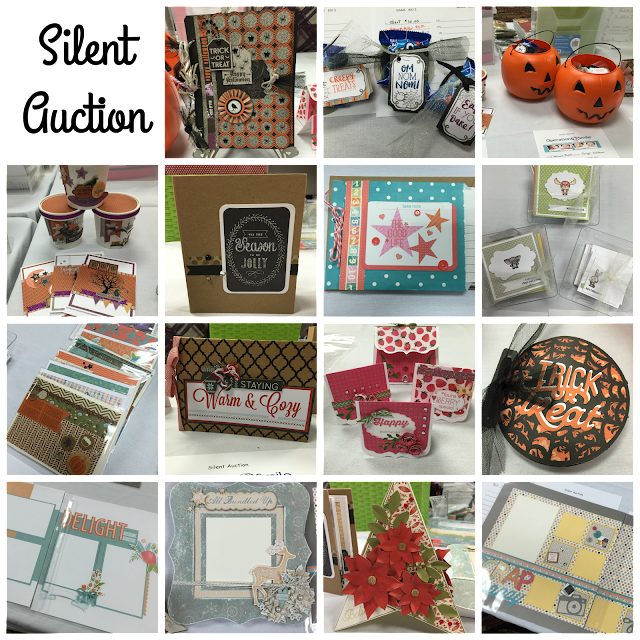 What a beautiful summary of that GREAT paper-crafting, fundraising, friends-bonding event! Stunning!!!! This paper is absolutely gorgeous on it's own, then to see it displayed on this canister! Oh my word! Stunning!!! !